Smith County, TX (April 7, 2019) On the afternoon of April 7th, a multi-vehicle wreck happened at the intersection of County Road 353 and US 271. Two vehicles crashed into each other for unspecified reasons at this time. Emergency crews immediately arrived at the scene and tended to all injured parties as needed. They transported those who needed further treatment to nearby hospitals. The police are still investigating the scene to figure out what caused these two vehicles to collide. Our thoughts are with everyone who was injured as a result of this accident. We wish all injured parties a full and fast recovery. According to the Texas Motor Vehicle Traffic Crash Facts, approximately 254,853 people sustained injuries in vehicle accidents in 2017. The most common injuries include spinal cord injuries, broken bones, head injuries, traumatic brain injuries, and internal damages. These injuries can range between minor, severe, catastrophic, and fatal. If injuries fall between minor to severe, there’s a good chance the injured victim will still fully recover. When injuries are catastrophic, the injured victim’s body is permanently damaged and will not fully function for the rest of their lives. 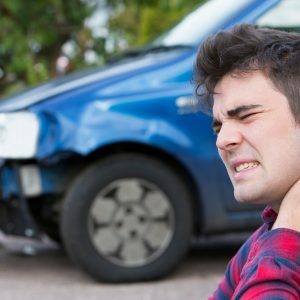 For those who have been injured in a car crash, it’s important to get help from an experienced Texas personal injury car attorney. At Benton Law Firm, we help thousands of injured victims receive fair compensation for bodily injuries that were sustained as a result of an accident was caused by another person’s negligent behavior. The Benton Law Firm has helped countless Texans who have been injured in an accident that was not their fault successfully file and resolve their personal injury claims and we can help you too. Call us today to speak with an experienced personal injury lawyer about your accident at 214-219-4878.